India’s first-ever news platform dedicated to content marketing, BuzzInContent.com, launches today at the CMS Asia Summit at The Leela, Gurgaon. BuzzInContent will act as a catalyser for the brands to explore the content marketing space more and help build brand affinity, reach and experience with the consumers. Skewed towards brands, the B2B platform will feature expert opinions, interviews, featured stories, case studies, expert first-hand experience, key learnings and dos and don'ts for the never-ageing content marketers fraternity. 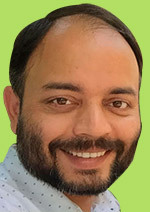 "This platform aims to be a catalyser to the growth of content marketing space, focussing on knowledge sharing by the domain experts," added Sharma. The website logo has been designed by Taproot Dentsu Co-founder and Chief Creative Officer Santosh Padhi. With design and content at par with global standard, BuzzInContent.com is an initiative by BestMediaInfo.com.